Hi guys! First make of 2015 is here and its lovely! 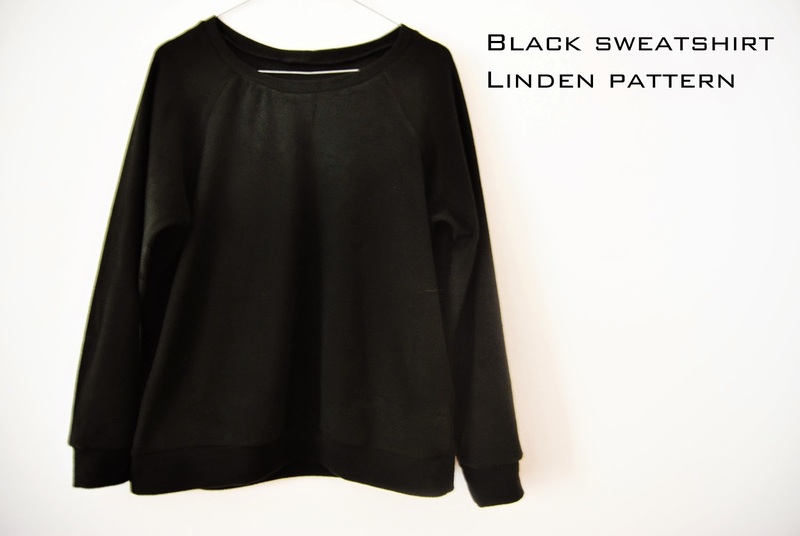 This is the Linden sweatshirt pattern from Grainline studio. Another great make from Jen! I chose View A for a classic sweatshirt look. I cut a size 8 with no alteration and used a black fleece I had in my stash. The drafting and the instructions in this pattern are beautiful and very well worked and everything comes together without any fuss . It was a really quick make. I sewed everything in my serger and the whole garment took less than 2 hours. I cheated and printed the Print at Copy shop version of the PDF pattern, so that speeded things up. I love this make! It's super comfy and perfect for both in and outside the house. Definitely a pattern I'm going to use again in the future! Jen has also a post over at her blog with inspiration for different variations of the pattern. Make sure to check it out! So what do you think? I'm planning my second version right now! I used a 3-thread overlock stitch on my serger! Φαίνεται πολυ άνετο και ζεστό. Έχω δει διάφορες βερσιόν αυτού του πατρον στο Ίντερνετ και θα ήθελα κάποια στιγμή να το δοκιμάσω. Ενδιαφέρων που το τύπωσες έξω, ποσό σου κόστισε αν επιτρέπεται; Εγω τα τυπώνω σε Α4 και οπως γνωρίζουμε όλοι ειναι χρονοβόρα διαδικασία. 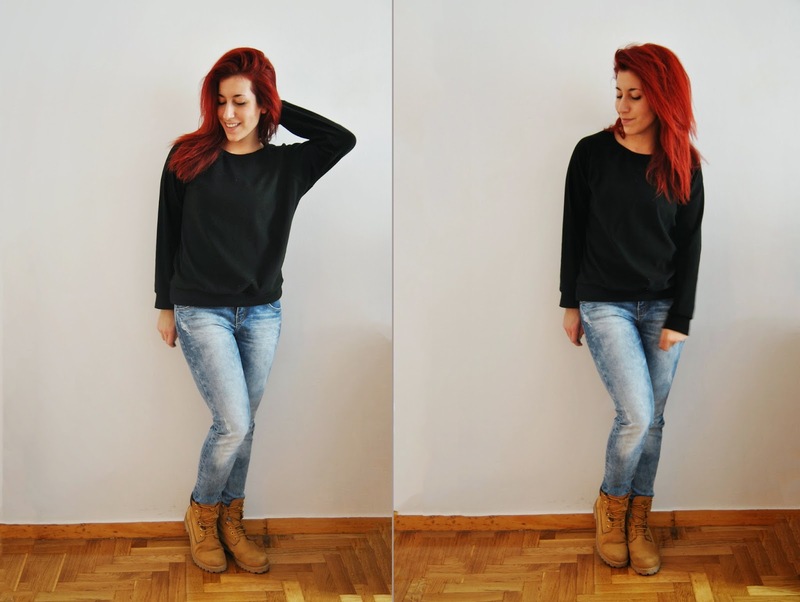 I live in sweatshirts like this! They're so easy to wear and sew! I don't have a black one, though, but now I'm thinking I should make one like yours! I'm a big fan of black! It's such a convenient color. 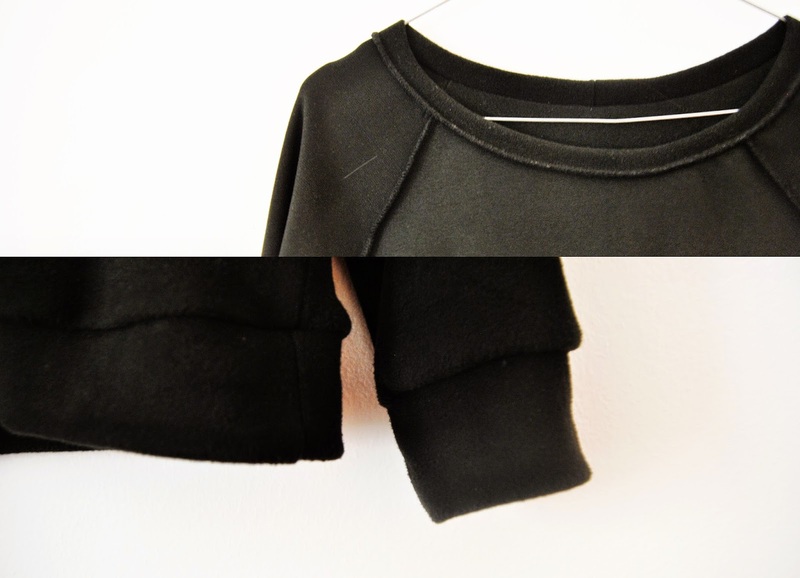 But now I really want to make one in a classic grey french terry! Αξίζει πολύ να το δοκιμάσεις! Μου κόστισε γύρω στα 3ε να το εκτυπώσω έξω και πραγματικά άξιζε για όλο το κόπο που γλύτωσα να κόβω και να κολλάω! Looks super comfy! I'm sure you'll get loads of wear out of this! is it weird that i love the way the inside of your garment looks? it makes me want to experiment with making an inside-out linden!